Samsung has announced a new version of its Samsung+ app for its latest smartphones and the latest version of the app comes with a new Samsung Assist feature. The Samsung Assist feature will let the customer service reps from Samsung take control of you handset and then diagnose any problems with the device. Samsung Assist Feature: Brand new for Samsung+ 3.0, “Samsung Assist” feature brings users hands-on support, direct to their screens wherever they are. Samsung owners can access “Samsung Assist” feature to allow a support representative to remotely operate and troubleshoot their device. 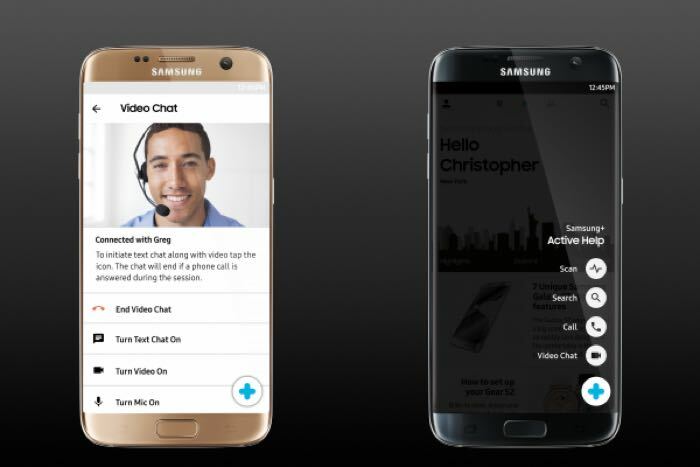 “Samsung Assist” feature can be activated once a consumer grants permission, during a video chat or phone call with a support representative. This feature is currently available on the Galaxy S7 and Galaxy S7 edge. Other Galaxy devices and tablets will receive the “Samsung Assist” feature through carrier updates over the coming weeks. You can find out more details about the new Samsung+ app at the link below, some of the features will be available on the new Galaxy S7 and S7 Edge.